Home/Uncategorized/SHOULD I WAIT FOR MY TWIN FLAME? – have met a False Twin and feel that the real Twin is on the way. – have heard about Twin Flames and are hoping to find your Twin Flame. – have known your whole life that you were searching for a deeper kind of Love. ANSWER: The Twin Flame Journey is not supposed to be a waiting game. It is a Path for both Twin Flames of Spiritual Growth that requires taking Action. If any of the following thoughts are popping into your mind as you read the above please note that they are NOT an excuse to wallow in Heart Break or sit around in lower vibrations. – My Twin Flame Love isn’t ready yet. – My Twin Flame Love is married to someone else. – My Twin Flame Love is _____________________!! – My Twin Flame Love isn’t talking to me anymore. – My Twin Flame Love broke my heart. NO absolutely not!! Don’t waste one moment of your time waiting. Instead use every precious moment available to you…. for your Self Love, Self Improvement and the Spiritual Growth that will kick start your Twin Flame Journey into a 5D relationship filled with Unconditional Love, Peace, Freedom, Friendship and Balance between Men and Women. (Alpha and Omega or Ying and Yang). Because if they are not ready yet it means that there is still a little piece of that not ready in you. So start now to get ready and remember that everything that you do to heal yourself also heals them, as they are the other half of your energy field. Here are some awesome ACTION Steps to take that will turn your Twin Flame Love Relationship around. Raise your Vibration by walking in Nature, going barefoot on the grass, beach or in the garden. Turn off the noise especially TV and Radio. Yes, music can be uplifting but the majority of the music that you hear is contaminated by being recorded in the lower frequencies. It is fear based. Instead try humming your favorite LOVE songs. Humming opens your throat Chakra and your Heart Chakra. Or sing all your favorite LOVE songs that are positive, not the broken hearted ones!! Or go to http://www.528records.com and upgrade all of your music to the LOVE frequency of 528hz. Start to listen to your Self Talk. If you have any Self Talk that is not for your highest good, delete it from your mind and replace it with positive affirmations that you can feel and know in your Heart. Meditate lots. You don’t need to restrict this to sitting cross-legged on a cushion. Try placing your intention and attention in your Heart Space approximately 2 inches above your sternum in the middle of your chest. Literally drop your thoughts from your head (mind) to your Heart Space and then you will be intuiting from your Heart. When you feel this area warming and glowing you are coming into the space of Unconditional Love. Try and stay this way as you go about your day. You can also converse with your Twin Flame from here. Never blame, shame or criticize them. Only tell them loving things about the future. The best conversations to have with male Twin Flames is to tell them what would make you happy. The best conversations to have with female Twin Flames is to tell them how much you Love their intelligence, their inner beauty and that you care deeply for them. Step away from your Computer and Cell phone. If you are someone that is constantly using your electronic devices start slowly to stay off them for extended periods of time. Eat foods that are healthy and good for you and that you like. Red and pink foods are especially good for Love. Take the time to re-vibrate your food by blessing it before you eat it. Try and stay away from junk food and GMO’s but know that your food is nourishing for your body. Remember to have Unconditional Love for Yourself, Your God or the Universe, Your Twin Flame and all others. Eliminate all thoughts of hate, envy, greed, power and replace them with unconditional love. Ask to be shown your Spiritual Gifts. The sooner that you start on your Twin Flame Mission the better you will feel. Remember when you are figuring out what your Mission is that in the future your Twin Flame will be involved in your Mission with you. Make it something that he/she will like too. If at any time you find yourself being critical of your Twin Flame except this as a Blessing and turn it around to you and find where you have the exact same thing in you. Then bring it to the surface for healing and let it go. 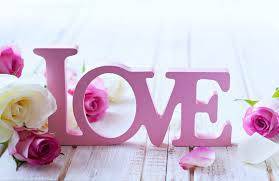 I AM Jenifer and I AM available now to help you in Private Love Coaching Sessions. I Am easy to talk to and I can answer your Questions about many things concerning Twin Flames. Blessings of Twin Flame Love for YOU! !